Domaines Ott in Côtes de Provence is to launch a super premium rosé from Bandol to rival Château d’Esclans’ top wine Garrus. “The wine will be made from around 70% Mourvèdre as it has the best ageing potential for rosé, and we want this wine to age,” Ott’s export manager Christophe Renard told the drinks business. “It will be barrel fermented and aged in new French oak,” Renard added. Renard also revealed that the domaine is working on a special botte for the limited edition release. “There will be no label,” he said. The first vintage of Château d’Esclans – 2006 – was launched in 2007 by Sacha Lichine, son of Bordeaux pioneer Alexis Lichine. 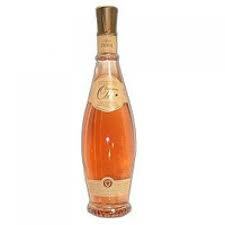 Its top cuvée, Garrus, is the most expensive rosé in the world, priced at around £70 a bottle.